In part one of our Lotteries of the World series we took you on a whirlwind tour around the planet, across the Irish Sea to visit the UK Lotto, before being whisked away to sunny Brazil to visit the Mega Sena and then back up north, to snowy Scandanavia, to learn about the Swedish Lotto. This time we're going to concentrate solely on Central Europe - with four exciting new lotteries to play. If all you play is the Irish Lotto and EuroMillions you're missing out on some great opportunties to get rich. In part two of our series we're going to look at four great lotteries that offer lots of great chances to win, all at low prices. These range from the uber jackpots of the German Lotto, to Lottoland's two cheapest lotteries, both from Poland. The Austrian Lotto (6 aus 45) is a very simple lottery game with a low price and good odds. To play just pick six numbers out of a range of one to 45 – simple! The jackpot odds are 1:8,145,060, the exact same as for the Irish Lotto, which is also a 6/45 format game. Both games also have a special bonus number, which is drawn after the main six numbers. There are other similarities too; both the Irish and Austrian Lotto have added games giving you more chances to win. With Irish Lotto you can opt to play the extra Lotto +1 and Lotto +2 draws. In the Austrian Lotto, meanwhile, you have the special Joker game. The Joker game corresponds to a second draw. To win you must get all the numbers drawn in the correct sequence. It costs €1.20 to play the basic game and €2.50 to play the basic game plus the Joker, which is the default option when playing at Lottoland. You can opt to disable the Joker game if you so wish, or you can enable up to two extra sets of Joker numbers to maximise your chances of winning. The Austrian Lotto has eight prize tiers versus the Irish Lotto's seven. Simply guess the bonus ball number to win the lowest prize tier, which will refund you the base ticket price. The odds of this are 16:1, meaning you have a one in 16 chance of breaking even when you play, and one in 12 chance of winning any prize. Overall this is a pleasant and highly affordable game that's also very easy to play and one of our easiest lotteries to win. The German Lotto, or 6 aus 49, boasts some of the largest national lottery jackpots in Europe. 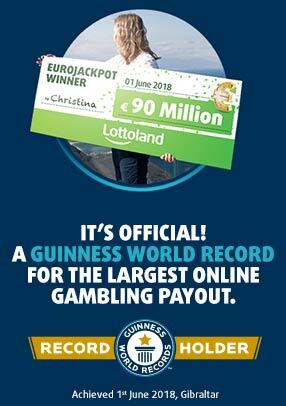 Its record highest jackpot of €45.3 million is the second highest national lottery jackpot in Europe. The highest goes to Italy's SuperEnalotto, which we will be featuring in our next article. The odds of hitting the jackpot are 1:139,838,160 and there are ten prize tiers in total, plus three additional bonus raffle games with up seven prize tiers – so the German Lotto gives you lots of different ways to win. You also have two chances per week to win with a Wednesday draw at 5:25pm (6:25pm German time) and a Saturday draw at 6:25pm (7.25pm German time). The name 6 aus 49 literally translates as six out of 49, which is exactly what you do to play; pick six numbers from a range of one to 49. A simple six number pick like this costs just €1. Once the six regular numbers are drawn a bonus ball number is then drawn. To hit the jackpot you must get all six numbers plus the bonus ball number. Unlike in the Irish Lotto or EuroMillions, where you select the bonus ball, in the German Lotto the bonus number corresponds to the last digit of your ticket number. As a Lottoland player, however, you can select your own bonus ball number giving you a considerable advantage over all those German players who buy their tickets instead of playing online. The ticket number, which is basically like the ticket's own serial number, is actually an integral part of the German Lotto's gameplay. In addition to influencing the outcome of the main draw, there are also three bonus raffle games – the results of which are all determined by your ticket number. Spiel77 (game 77) is the main raffle game. Seven numbers are drawn and, if your ticket number matches these numbers – i.e. the right numbers and in the right sequence – you hit the jackpot. The jackpot is a minimum of €177,777 but often rolls over into millions. There are six other prize tiers with fixed prize values. The second raffle, Super6, is similar to Spiel77 but is only concerned with the last six digits of the ticket number. Again you need to get all the numbers in the right sequence. If you do so you'll win the jackpot of a guaranteed €100,000. All prize tiers in this raffle are fixed. Finally we get to the Glücksspirale, or lucky spiral, raffle game. Unlike the others this game is held on Saturday only. The main prize for this game is a lifetime payment of €7,500 each month making it the ideal game for those looking to retire and enjoy the good life. Another big winner in price terms, the Polish Lotto costs just 75c to play and, for that price, you could become a millionaire many times over. The Polish Lotto isn't just cheap, it's also very easy to play. Just pick six numbers from one to 49. Pay an extra 25c and you can enter the Lotto Plus (sound familiar?) draw. That makes the cost €1 total for two chances to win big. The minimum jackpot is 2 million Polish Zloty, which, at the time of writing comes to around €482,367. The highest jackpot was 56 million zloty, approximately €13.5 million. Like the Irish Lotto there is no maximum jackpot and therefore it can rise and rollover indefinitely if not won. The odds of winning are 13,983, 815:1 and altogether there are four prize tiers. If you are a Polish national living here no doubt you are already aware of how great this lottery is. 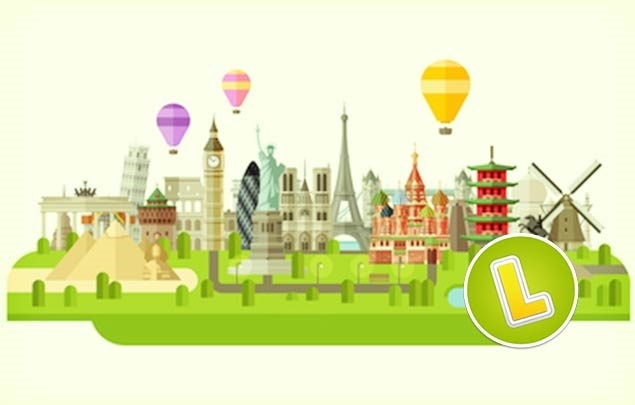 So you will be delighted to hear that you can now play the Polish Lotto from Ireland at Lottoland.ie. Or, if you prefer to play in Polish and pay in Zloty then you can also play at Lottoland.pl where a familiar face awaits you, Mr Lotto himself Ryszard Rembiszewski our Polish brand ambassador. Another Polish favourite, the Polish Mini Lotto is a highly popular game both in Poland and throughout other Lottoland markets due to its exceptionally low price. At just 30c per play it's Lottoland's cheapest lottery. Indeed I challenge you to try and remember the last time you paid just 30c for anything, never mind something that could help you win hundreds of thousands of euros. To play just pick five numbers between one and 42 for your chance to win from one of three prize tiers. Match all five to win jackpots of up to €700,000. The low price isn't the only reason for the popularity of the Polish Mini Lotto, the odds of winning the jackpot are also exceptionally low compared to other lotteries at just 850,668:1. Best of all the draw is held every day of the week, except Sundays. So you can play the Polish Mini Lotto from Monday right through to Saturday for €1.80 a week!